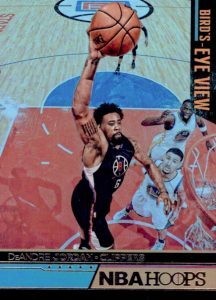 While many of the NBA card brands of today can't trace their history to the first big push for basketball cards, Panini's 2016-17 Panini NBA Hoops Basketball carries on an extensive cardboard legacy with another early-season set. Each hobby box includes two autographs along with multiple inserts and rookie cards. 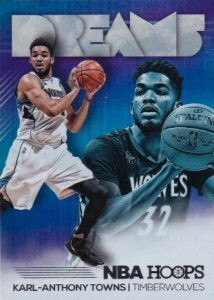 Kicking things off for the product, 2016-17 Panini NBA Hoops Basketball features the first official rookie cards for the top names in the 2016 NBA Draft. Obviously, veterans are also included in the base set along with several parallels. 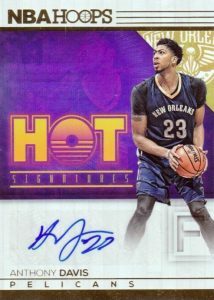 Exclusive to hobby, Hot Signatures and Red Hot Signatures (#/25) are the main signed insert in 2016-17 Panini NBA Hoops Basketball. 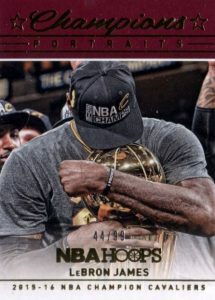 The two sets include early autographs for the first-year players along with other key NBA subjects. 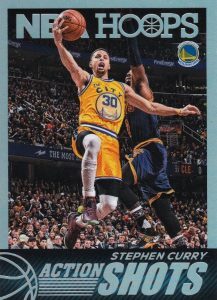 Inserts are plentiful in 2016-17 Panini NBA Hoops Basketball and led by the return of Road to the Finals. 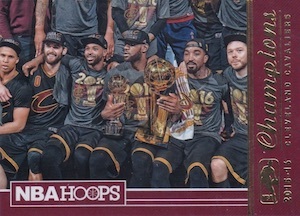 This large set documents the playoff events that culminated in the '15-16 championship battle between the Cleveland Cavaliers and Golden State Warriors. 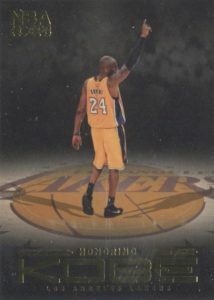 The now-retired Lakers legend —Kobe Bryant —is honored with Kobe 2K (1:8 packs) inserts. 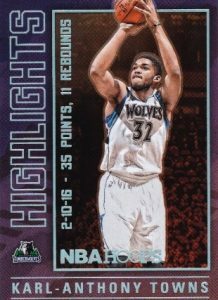 Other inserts are only found in hobby formats, such as Bird's Eye View, Courtside, Dreams, High Flyers and Team Leaders. Artist Proof (#/25) and Gold (#/10) parallels apply rarity to each of these insert choices. 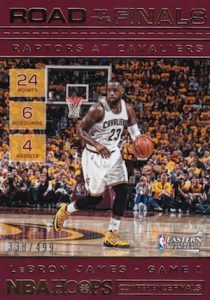 RARE SP 2016-17 Hoops Matthew Dellavedova Great Significance AUTO! PARALLEL CARDS: Blue, Red Backs, Teal Explosion, Green #/149, Silver #/99, Red #/49, Artist Proof #/25, Gold #/10, Artist Proof Black 1/1. RETAIL-ONLY PARALLEL CARDS: Blue Checkerboard #/75 (Blasters), Orange Explosion #/75 (Fat Packs), Teal #/49 (Gravity Feeds), Orange #/25 (Gravity Feeds), Red Checkerboard #/15 (Blasters). PARALLEL CARDS: Red Hot #/25. 20 cards. First ten cards are exclusive to 2K17 Legend Edition video games. 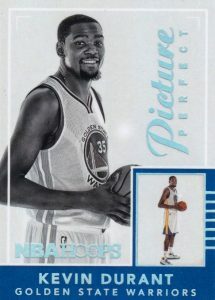 Cards #11-20: 3 per hobby box, 2 per retail box. PARALLEL CARDS: Prime #/25 (*No card #54, 57). What a load of crap. Ugly and just slapped together in 5 minutes. Classical hoops! Lots if great cards to collect! 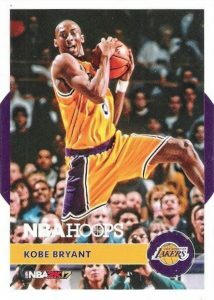 Waitingso much for Kobe 2K! I really like these. 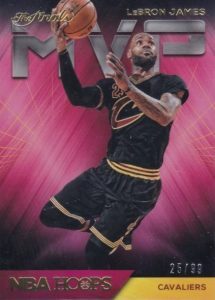 I have seen a Rise ‘n Shine jersey patch card on another site, that looked much better than those of the past. Hoops gets a little better each year. I just wish they would release information about the size of the set and number of rookies though. Robert – Panini spends most of their time creating new products and promoting their high end products. 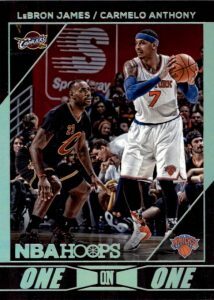 Hoops may be their biggest NBA seller by volume, but I’ll bet they make many more $$$ off the other releases. We should see a checklist by mid-week. 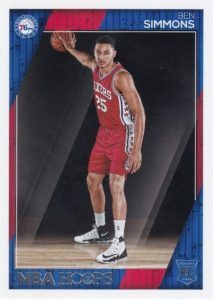 They lead off the set with 76ers, and they snuck in Saric and they obviously have Simmons- this looks like a set one to go after. I’m more of a base card person myself, and they have a really solid set of base cards this year. However they are missing some notable players such as Andre Iguodala, Jeff Teague, and Patrick Beverley, which is a little disappointing. I’m hoping the Panini Complete makes a return this year, but if not the selection is still solid?? 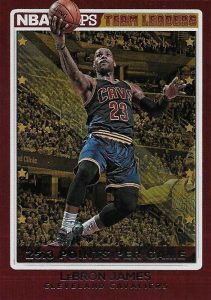 first, I would like to say is hoops is what is.. 2 autos, inserts, numbered cards and rookies. the product needs to have an overhaul though. my box was ok, one rookie auto and a deadbeat 1.00 dollar auto. I pulled three red backs and two of them had blue and black ink marks scribbled all over the front of the cards. luckily, the Simmons red back was not damaged. 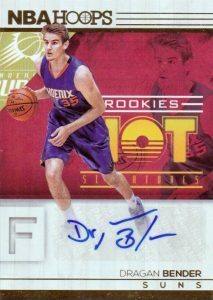 the big problem I had was there was no base rookies in my entire box!!! I called panini and they said they will send me some rookies in a couple of weeks. I like the price per box – very reasonable. I always make it a point to buy a couple of boxes. I do not like the look of the cards especially the rookies. No Rating Yet – can’t find these cards anywhere in my area…not even Target or Walmart. Surprising considering I’m minutes from MSG and Barclay’s Center. Got 2 boxes at card convention for $60 each. Pulled a Dragan Bender Hot Rookies Signatures, a Kobe Tribute Case Break Insert, and a Brandon Ingram Green Parallel RC. Got whole base and rookies set along with a ton of inserts and duplicate rookies. Very happy with this product. Update: Finally able to find these cards (2 weeks after release). Bought a blaster box at Walmart. Not at all impressed with this release. It’s almost the same design as a few seasons ago. Plus, Panini provides only one option (a rookie relic card only…no autos) for a hit. I may buy one or two of the jumbo packs, but I’ll wait for Excalibur and other Panini products. This product was a long run for a short slide. Will � There are two different kinds of Teal as indicated by Panini. One is an exclusive Gravity Feed parallel that is numbered to 49. The other is not numbered. Both are noted above in the parallel section for the base set. Thrilled with my box when I managed to pull a Kevin Durant Auto, red hot Jaylen Brown auto and a gold Ben Simmons numbered to 10! I’m only missing roughly 10 cards so a great buy all around.